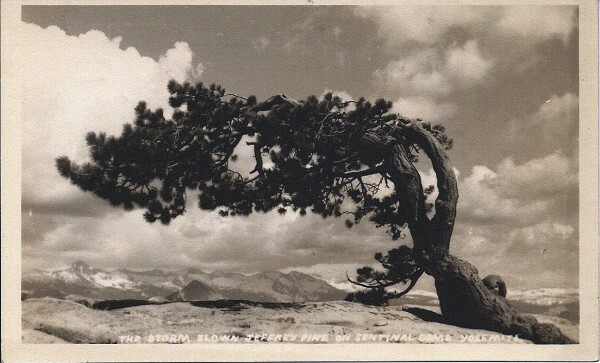 This “classic” Pillsbury photo – is published in similar fashion and intent as his “classic” photos of the “Storm Blown Jeffrey Pine On Sentinel Dome” “caught right in the middle of a storm. Pillsbury's son, Dr. Arthur F. Pillsbury, recounted his father's preparations for a photo session in a letter written later in his life. 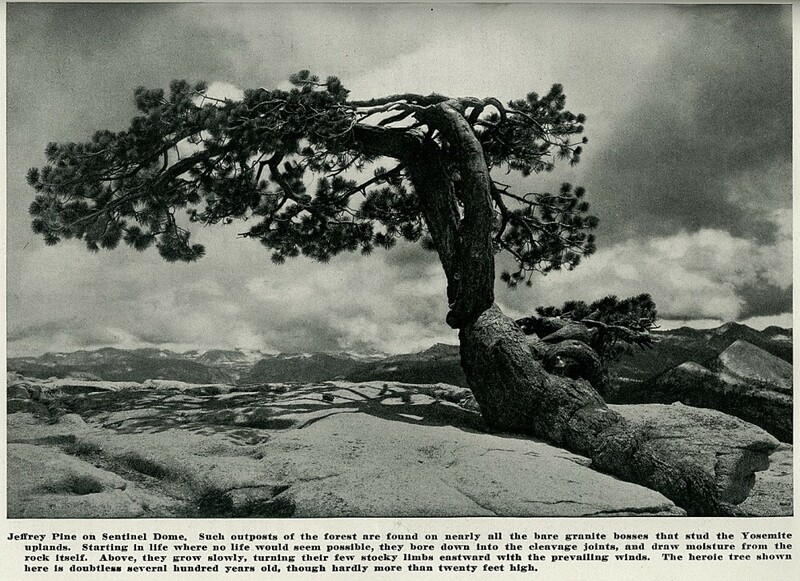 Image used by Earl Brooks to produce a nice gift for his aunt. 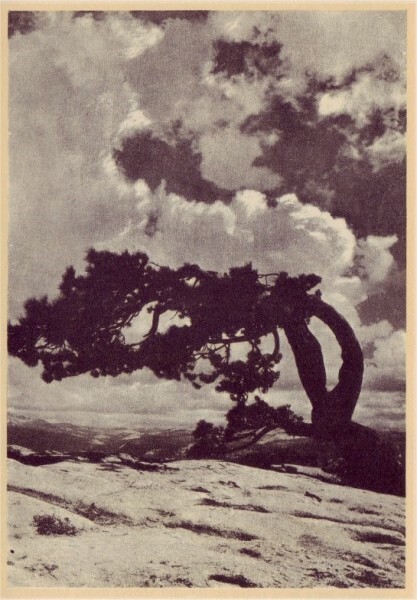 It is flawed and was flawed when Earl Brooks printed it while a student of Arthur C. Pillsbury's in Yosemite, as a very young man. Rejects were never sold as products but they were available by photographic students for practice. So, now the big question. 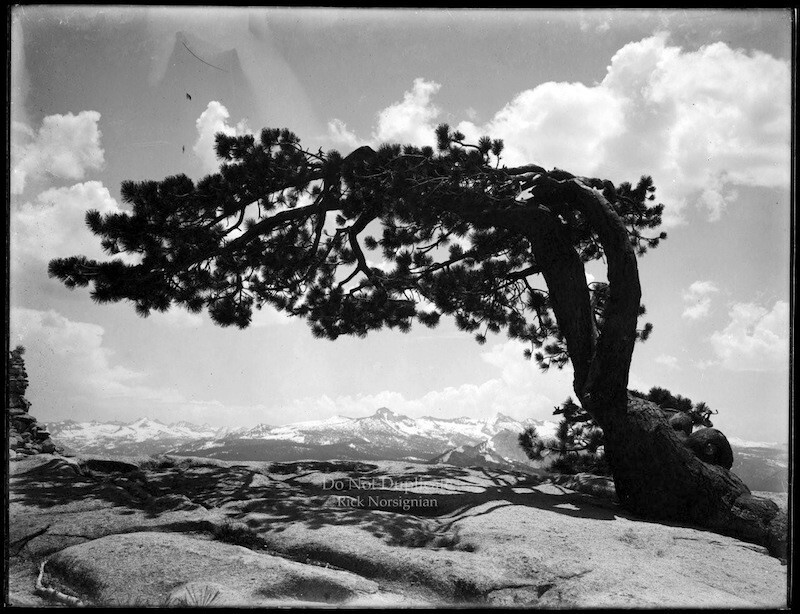 How did these images end up being sold from a Los Angeles Photography School after the fire which supposedly destroyed all of Pillsbury's negatives, including those which were flawed? 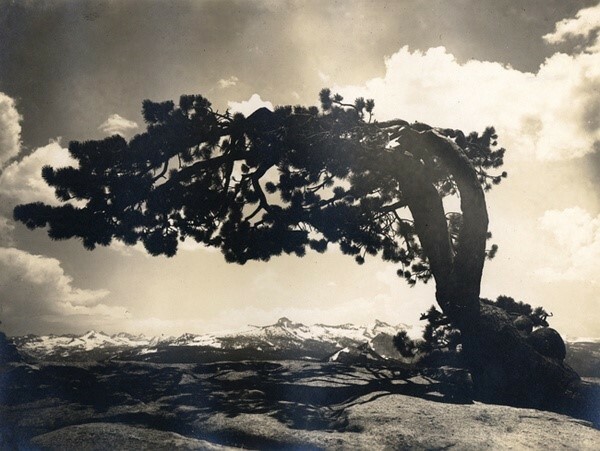 Ansel Adams had worked at the school.